SNEAKERS: Melody Ehsani ‘Love’ x Reebok Classic 2014 Spring | sB! Accessories designer, Melody Eshani has teamed up with Reebok Classic before to collaborate on creating a sneaker design. 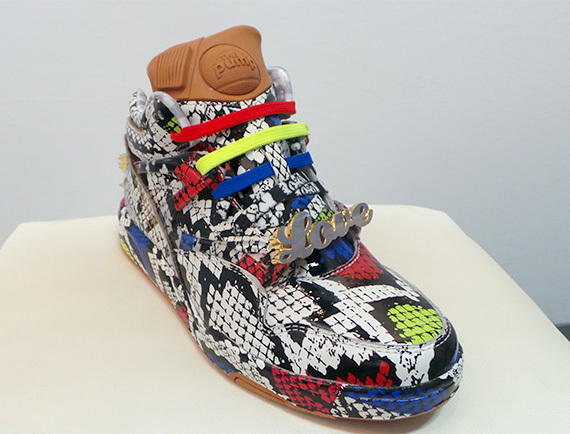 Now the two have teamed up again for the 2014 spring season to create a colorful sneaker that is accessorized with gold pieces similar to Melody’s collection. 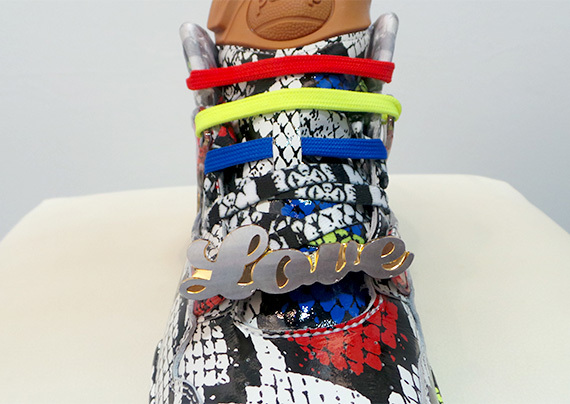 The sneaker base has a basketball feel with the ‘pump’ tongue design and bling’d out with gold spikes on the back and ‘love’ strapped in the front. It is definitely a shoe that catches your eye and looks better on the foot paired with a simple outfit. This entry was posted on October 10, 2013 by Joey. It was filed under Shoes and was tagged with classic, love, melody ehsani, reebok, sneakers. where can I find these at?